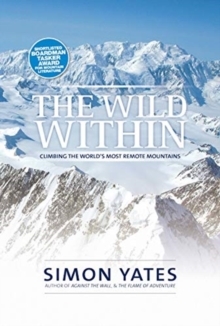 Simon Yates, author of Against the Wall, takes us back to his early years as a climber - the escapades and excitement of a young life lived on the edge and for the moment, when experience was all-important and dramatic achievements and failures came as naturally as the hair-raising risks themselves. 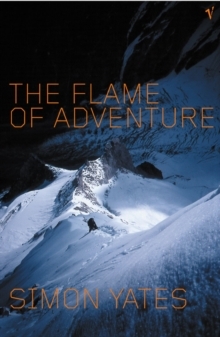 A mountaineering travelogue of dazzling variety, The Flame of Adventure moves from the camaraderie of deprived Russian climbers in the little-known peaks in the Tien Shan to the awesome experience of the North Face of the Eiger, from a rumbustious motorbike ride across Australia with a psychotic lorry driver. 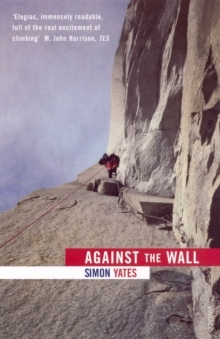 We meet a remarkable gallery of climbers, from Doug Scott to Joe Simpson, and, when not exploring high mountains, we enter the bizarre world of rope access workers: mavericks balancing high above building sites on the London skyline.